"The new bridge can't open until the old one has been taken down." 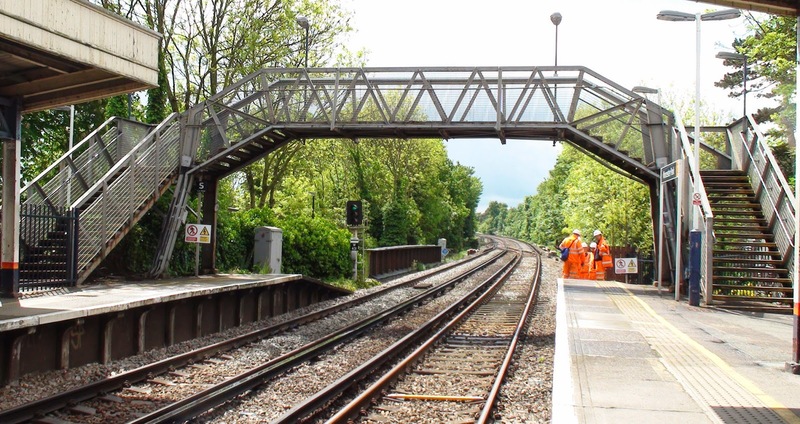 They are in the process of trying to 'take possession' of the railway line (in other words close the station and possibly the line too) for a weekend so they can get the equipment in to remove the old footbridge. So take a last long look at it while you can. We still have a few weeks to go - it will probably be in early June when they remove it and open up the new footbridge (with working lifts). Personally I don't understand why the old one needs to be removed before people can use the new one. In my mind two bridges gives people double the choice of where they want to cross the railway line. 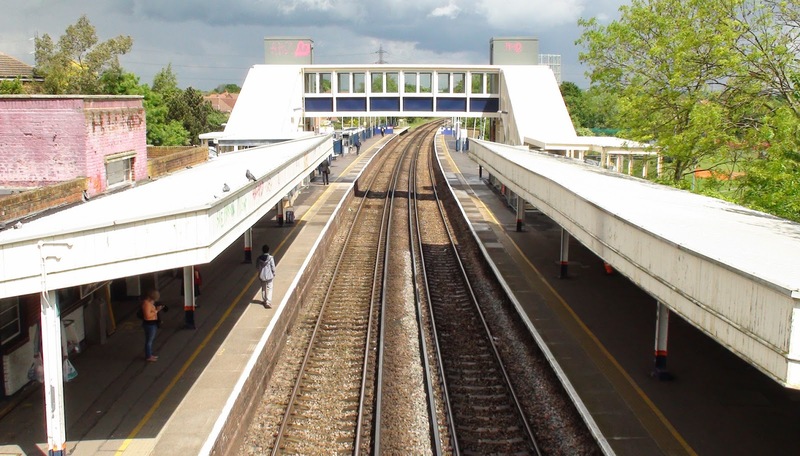 It costs more money and more inconvenience closing the station etc. for a weekend to remove it than to just leave it there offering people a second option. The blog has discussed this situation before and it was suggested that it would cost more to maintain the bridge than to remove it but I find that a slightly incongruous argument. Perhaps the cost of taking it down is less than the cost of maintaining if for the next 20 years, but I doubt it would be less than maintaining if for the next five years. Perhaps the time to remove it should be when it would be needing its next major overhaul. In the meantime people would be able to use both. The idea that people can't use one so long as the other still exists just doesn't seem right to me. Of course this also means we won't be able to see the new foot bridge (or anything else) from the old one any more. So we'll not have the opportunity to take photos like the one below. So enjoy this sight while you can too (complete with graffiti). Hooray I'm At The Top! Missing A Big Yellow Box?